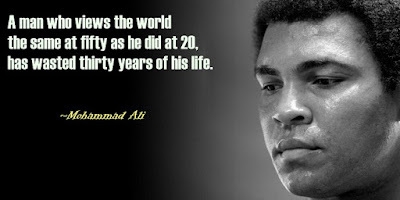 I am writing this before Ali had passed. I'm doing it because having him alive is the only way I can do this without breaking down. 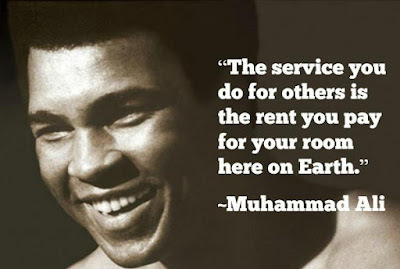 Muhammad Ali was a hero of mine. He was, along with Willie Mays the first sports figure whose name I could remember. 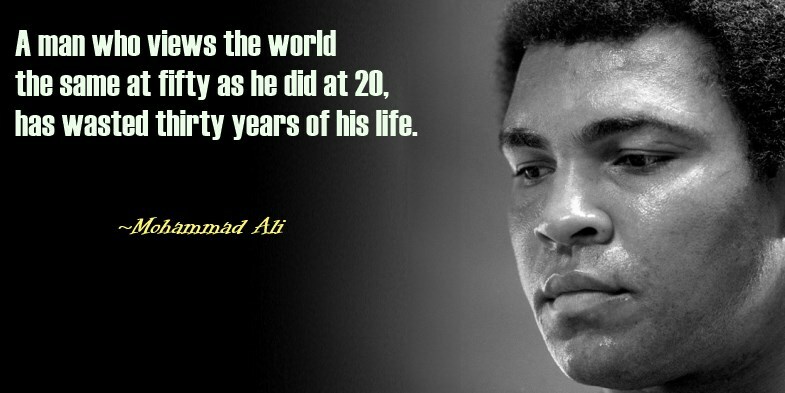 His ability in the boxing ring amazed me, not because I saw his fights but because people spoke in awe of him. Loved him or hated him everyone was in awe of him. There was no one like him, and there never will be again. Everyone I know who ever met him only had good things to say about him. From those who simply met him and shook his hand, to an Aunt who was blown away when he refused to go to lunch with the big wigs of her car dealership unless everyone-everyone- went along. He was by all the accounts I heard a genuinely nice human being despite the bravado of the public image. My deep respect formed when I became old enough to begin to understand the man- the man on a quest to find himself and peace. I admire that he followed his heart and became a Muslim. I love that he refused to go into the army. Knowing it would potentially cost him everything he did it both things anyway. I admire any person who follows the convictions of his heart regardless. 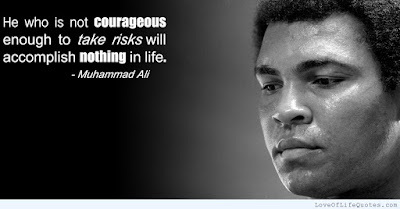 I love anyone who finds the courage to change when he feels he must and Ali did that. And then of course there is the humanitarian- the man who bridged cultures and changed the world. Here was a man who could go anywhere and do anything. Be brought people together in ways that no one else could possibly have done. 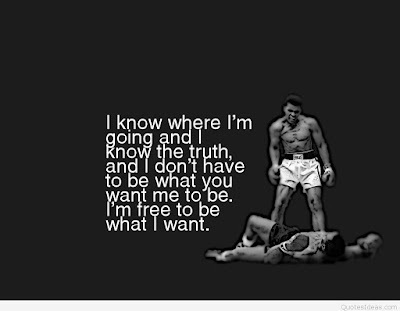 If one wants proof consider that during the time he truly was The Greatest, everyone of every color or walk of life came together to see him fight. That may not sound like much, but in the 60's and in the 70's the racial divides were still there. 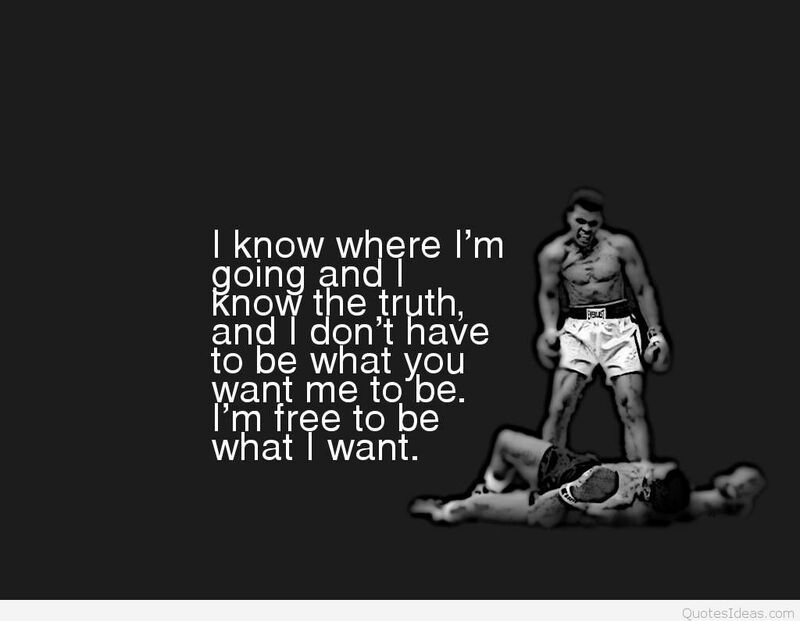 Ali broke the barriers down. Everyone went to his fights, The lines between races crumbled. Yes there was still talk of it in the press but when he fought there was a moment when it stopped. And with each fight it stopped again and again. And while the divide hasn't gone completely away the fact that people could go to one of his fights helped to break down the hatred. Yes I know that is simplistic, but right now I have limited time to compose this piece. Limited time and limited ability since the loss of such a towering figure has crushed me deeply. And while its true that over the last decade or more the Parkinson's has made him a shadow of himself, there was always a sparkle in his eyes. Yea the body was broken but it was clear the spirit still was strong. There was still a great man locked in the failing body. We all sensed that- so when he would show up at events, at the Olympics or something else we may have had a tear trickle down our cheek at the thought of what was, there was still a smile and joy in our hearts at knowing The Greatest still was fighting the good fight. ...but on the other hand I am blessed knowing what true greatness is and how special a human being can be.